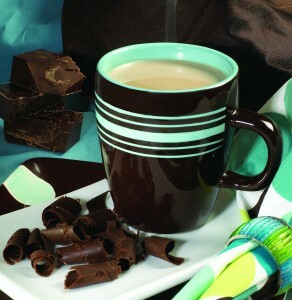 While I’m a huge coffee admirer, tea enthusiasts enjoy it as a simple, soothing cup of comfort. Tea lovers are discovering entirely new ways to enjoy their favorite brew with the many flavors and variety now available. 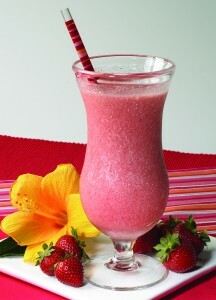 Tea-drinking trends find people infusing their tea with fruit and other flavors, and experimenting with tea in recipes. 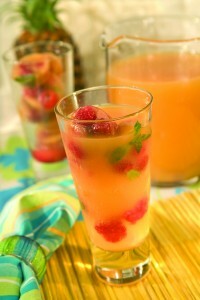 Lipton.com offers these recipes, highlighting the rich, ripe flavors of whole leaf teas infused with fruit and flavor. Whether it be frozen pops to tropical punch, or cool smoothies to hot, spiced chocolate tea, you’ll discover a refreshing take on tea. Read on to check out my favorite tea infused recipes. Pour boiling water over tea bags; cover and brew 5 minutes. Remove tea bags and squeeze. Stir in sugar until dissolved; let cool slightly. Combine tea with strawberries in medium bowl. Evenly pour into 8 (4-ounce) paper cups (or popsicle molds). Freeze until almost firm, about 1 hour. Insert wooden ice pop sticks into centers; freeze until firm. To serve, press firmly on bottom of paper cup to remove. Island Mango & Peach Fruit-Tea Pops, use Lipton White Tea with Island Mango & Peach Flavors Pyramid Tea Bags and 1 cup chopped peaches. Green Tea & Mandarin Orange Fruit-Tea Pops, use Lipton Green Tea with Mandarin Orange Flavor Pyramid Tea Bags and 1 cup blueberries. Black Pearl Fruit-Tea Pops, use Lipton Black Pearl Black Pyramid Tea Bags and 1 cup mixed berries (raspberries, blueberries and/or strawberries). 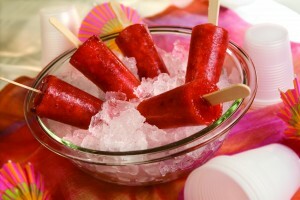 Harvest Strawberry & Passion fruit-Tea Pops, use Lipton Red Tea with Harvest Strawberry & Passion fruit Flavor Pyramid Tea Bags. Pour boiling water over tea bags; cover and brew 5 minutes. Remove tea bags and squeeze, then stir in sugar; chill. In blender, process tea, strawberries and yogurt. Add ice cubes, one at a time, and process until blended. Garnish, if desired, with whipped cream and strawberries. Serve immediately. *Substitution: Use regular strawberry yogurt. Pour boiling water over tea bags; cover and brew 5 minutes. Remove tea bags and squeeze. Stir in sugar; chill. In large pitcher, combine 2 cups chilled tea with remaining ingredients; chill. Meanwhile, in 2 ice cube trays,* arrange 3 raspberries in each compartment. Pour remaining chilled tea over berries. Freeze 2 hours or until solid. To serve, pour punch into large pitcher or bowl. Add tea ice cubes. Serve immediately. *If you don’t have ice cube trays, try using mini muffin pans or a 6-cup ring mold. Bring milk and water just to a boil in 2-quart saucepan. Remove from heat and add tea bags. Cover and brew 1-1/2 minutes. Remove tea bags and squeeze, stir in remaining ingredients. Serve immediately. Garnish, if desired, with whipped cream and a sprinkle of cinnamon. Keeping your body hydrated can help maintain overall well-being. Unsweetened tea is an excellent beverage for hydration. This conclusion is based on the Healthy Beverage Guidelines that were created by a panel of independent scientists under an unrestricted grant from Unilever. Tea may help maintain a healthy lifestyle — for example, drinking 2 to 3 cups of tea throughout the day, as part of a healthy diet, may help maintain healthy vascular function. Find out more at lipton.com. Tabasco Original Red – Kick up the flavor! thanks for link your tomato Olive casserole. it looks great. Ooooo some good ones here – I want to try some of these! .-= Mary at Deep South Dish´s last blog ..Crockpot Coca Cola Roast Beef with Gravy =-.